How To Be A Wick In God’s Candle was written to help caring, compassionate people who believe in the power of prayer. For thousands of years we have prayed for one another. The march of progress through science has touched nearly every area of human experience; however, we tend to pray for one another as we have for thousands of years. We ask God to act. 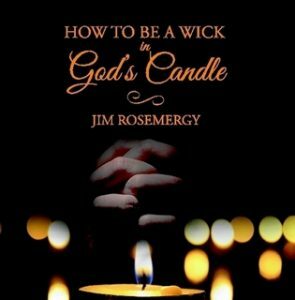 The final section of the book contains exercises and questions to help the reader make the foundation principles of how to be a wick in God’s candle become deeply rooted in the soul. Imagine a world where people are committed to being wicks in God’s candle. Perhaps this would be our prayer: United with the human family and living in conscious oneness with God, I am a wick in God’s candle radiating light to the world. In this moment, the wicks of the world unite and earth is ablaze with God’s goodness and light.